READ Salads make reunions right! Pass the traditions, please. Whether it’s a collection of cousins or old school chums, reuniting with loved ones can be joyous and reaffirming. To make any gathering a special one, READ Salads has created the ultimate go-to resource to help plan any reunion celebration. And to help ensure these events are a success, 17 lucky winners will receive prizes ranging from personalize cookbooks to $500 VISA gift cards. Reunions can be huge multi-generational family affairs, or small gatherings of cherished friends. 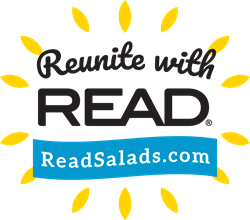 Reunite With READ is a one-stop resource that serves up tips, tricks and table trimmings sure to delight guests of all ages. In addition to sample printable invitations, menus and name cards, the site will also offer some of READ’s most treasured recipes that will be perfect for your reunion table. Mix them in with grandma’s famous dishes as well as your own new creations. One entry per day. Entrant’s name and email address will be added to receive the Aunt Nellie’s/READ eNewsletter. READ® Salads offer five convenient, ready-to-eat, salad choices that taste like homemade. Southwestern Bean Salad, 3 and 4 Bean Salad, and German Potato Salads are available in the canned vegetable aisle of the supermarket, along with 4-packs of 3 Bean Salad single serving cups. They provide important nutrients including dietary fiber, folate, potassium, iron, plant-based protein and more. All are shelf-stable and gluten free. 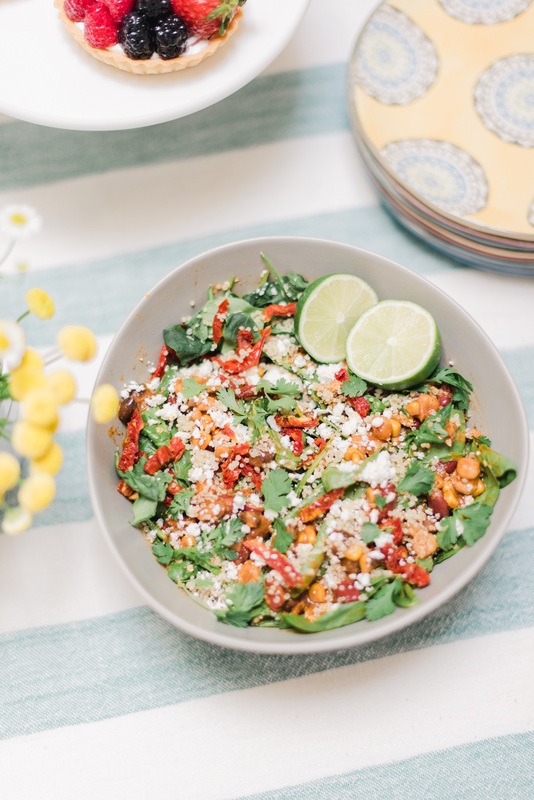 Start a new tradition at your next reunion – or tonight’s dinner -- with this delicious recipe for Southwest Spinach Salad by Inspired by This. For more delicious recipes, visit http://www.ReadSalads.com. 1. Drain bean salad. Discard liquid or save for another use. 2. In medium bowl, combine bean salad, spinach, quinoa and tomatoes. Top with cotija and fresh cilantro. 3. For dressing, whisk together olive oil, lime juice, salt and mustard until well combined. Add to salad; toss to combine. Nutrition information per serving (1/6 of recipe): 305 calories; 9g protein; 33g carbohydrate; 16g fat; 640mg sodium; 10mg cholesterol; 7g dietary fiber; 11.57mg iron; 0.12mg thiamin; 2386.34IU vitamin A; 19.43mg vitamin C.